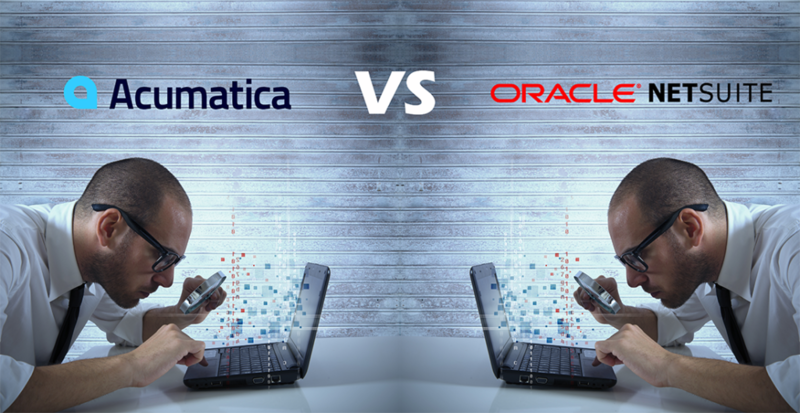 Acumatica vs. NetSuite. Two true cloud options—but is there a true winner? At Crestwood Associates, we have been in the business of customizing, implementing, and delivering business-changing software for more than two decades. As one of the leading channel partners in North America, we would today like to explore the key differences and compare two of the leading cloud software applications—Acumatica and NetSuite. When you look at Oracle NetSuite and Acumatica Cloud ERP, you see two cloud leaders—two companies at the forefront of the ERP battle, who both deliver a full suite of financial applications accessible through the internet using a standard browser without the need for additional software licensing or client apps. These applications, both touting themselves as true cloud solutions, each deliver twice-yearly updates, have implementation that is easier than legacy software, scalability, and more. Both offer true mobility for all devices, host their public cloud applications in similar data centers, provide industry-focused solutions, and integrate with a wide range of applications such as CRM, ecommerce, and business intelligence. Both Acumatica and NetSuite promise to deliver solutions for the midmarket and have each helped thousands of companies to speed up processes, grow their business, and take control of their financials during this period of growth. Added to this, both companies are celebrated by analysts, channel partners, and their end users—often appearing right next to each other on everything from the G2 Crowd Grid report, to the Gartner Magic Quadrant. While these two platforms seem similar, when it comes to ERP software, even the most minute differences add up over the course of the software’s useful life. When comparing ERP options, even a tiny differences experienced every day can become a big deal over the course of 8-10 years. 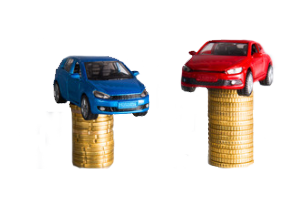 Say you’re buying a car and comparing two options—one that gets 30 MPG and another that gets 32 MPG. Doesn’t feel like much to the average car buyer who might save a hundred dollars per year. Now, say you’re buying a fleet of vehicles. That hundred-dollar difference, spread across one hundred cars, is now $10,000 per year. Add it up over the course of ten years and you’re $100,000 shorter. The same goes for ERP software. From the outside, these two options each offer time savings through automation and make users’ lives easier. However, add it up and even the tiniest difference could cost you thousands. It may seem like it’s one slightly less efficient process, one configuration, or one custom integration you have to pay for, and you’re quickly buried under a pile of small challenges. What Makes Acumatica and NetSuite So Different? Whether you are a regulated business, just want to keep certain data in-house, or need to use a higher-tier data center for your highly sensitive data, you should have this option. Knowing this, only Acumatica offers the freedom you need—should you need it. While both products are available in the cloud, Acumatica also supports on-premise and hybrid deployments for companies that want to keep sensitive data in-house. When it comes to pricing, the resource-based model is the way to go. While both NetSuite and Acumatica have embraced some form of resource-based pricing (i.e. charging by computing power used), NetSuite also charges per user. This means setting up that one occasional user is going to cost you, and as your company grows (adding more of these occasional users), so will your costs. Alternatively, Acumatica offers a strict resource-based pricing model, never charging you to add a user. Add to this the flexible licensing model offered by Acumatica (subscription if you want it, perpetual licensing if that’s your thing), and you get the power to buy ERP how you want. Both products are highly configurable, but Acumatica is built using industry standard C# and .NET. However, NetSuite uses proprietary development tools, making customizations more difficult. Hiring a developer to make a change is by no means cheap, and combined with the next factor could become even more of a hassle than you’ve bargained for. Customizations and integrations break—especially around update time. While better APIs have made it easier to maintain integrity during update time, you still may want to test everything before you commit to making an upgrade. To support their required multi-tenant model, NetSuite upgrades all users at the same time, which may not be convenient for everyone. Acumatica provides users the option to upgrade at any time they choose; NetSuite charges users for this option. NetSuite users cannot directly export their data in a relational format, making it difficult and costly to migrate their data off NetSuite servers. Acumatica will never hold your data hostage – providing both built-in automated backup service plus a snapshot feature allow you to have a fully relational copy of your data at any time. Acumatica’s 100% partner model allows them to focus on innovation, putting a vast majority of its annual budget in R&D, and allowing customers to work with a local implementation specialist, or an expert in the customers industry. 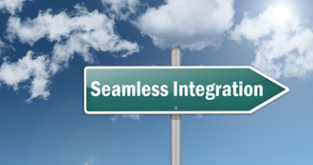 NetSuite uses a hybrid sales model so channel partners often compete with corporate. Of course, the overhead at Oracle is well known, and ultimately must be paid for by the customer. At Crestwood Associates, we are proud to work with Acumatica to deliver the innovation and flexibility that comes from using Cloud ERP. Since 1998, we have continued to grow our business, adding new partners and continuing to focus on the core values that got us where we are today. We invite you to learn more about our work, get to know more about Acumatica Cloud ERP, and contact us for a free consultation.